Hingley Trailers offer a HGV trailer hire service from our West Midlands based facility. Maintenance is key to the smooth running of our trailers with each and every one undergoing a strict servicing regime. This ensures the trailers are supplied to you in prime condition ready for you to take on the road. 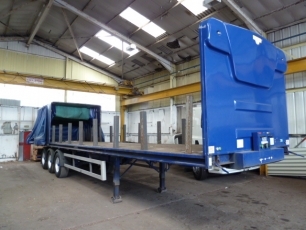 Our trailers are available in lengths from 36ft to 45ft. Our trombone trailers are available in lengths from 45ft with the ability to extend to 70ft. When renting out our vehicles the time frame is flexible to suit your individual requirements. You can collect or we can deliver for a small fee. Our coil carrier trailers are one of our more popular HGV trailers for hire. These are commonly used for carrying steel coils with the addition of a well for extra security. We have various models including Slideflex, with or with out wells and in varying lengths. 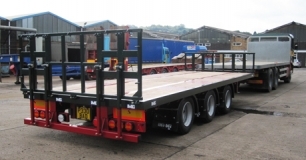 Not only are we flatbed trailer manufacturers we also make them available for hire. They are great for transportation of various loads that are not delicate to the weather. With no sides or roof access making loading and unloading easy. 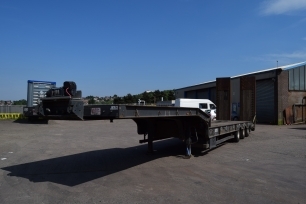 Low loaders (lowboy trailers) are great for transportation of heavy equipment such as bulldozers and other industrial equipment. These can be adapted for the transportation of caravans and similar loads. 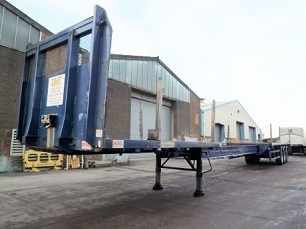 We have various models for hire including goose neck trailers. Trombone trailers are becoming more and more familiar on our roads. We have trombone trailers available for hire for those extra long self supporting loads. Give us a call to find out more about our HGV trailer hire services on 01384 424 200.